The Groundspeak Knowledge Books contain helpful information for every player of our games. It was created by Lackeys and Reviewers working together. Start with the options you'll find on the left margin of the page. You can browse the many articles that way. Some Knowledge Book pages have been highlighted and others have been marked as "most helpful" by geocachers like you. This thread will be a growing list of recently-added pages. As such, you may want to "watch it" or subscribe to it so that you are alerted when new pages become available. More pages have been added or edited to the KB for your learning pleasure. Additionally, te entire KB chapter on Forums has seen quite a few changes. Perhaps it would be best for me to link you to the entire chapter instead of just one page → Tips and tricks for use in our discussion Forums. What did we do, basically? Made it easier to read and to understand by re-organizing and shortening. 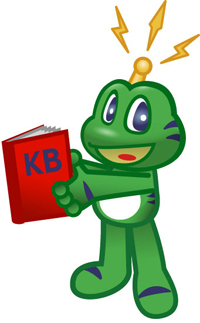 There is a different KB chapter within the Knowledge Book of Geocaching called the Review Process which is really separate from the actual Guidelines. To discuss the changes, you can join this thread. Geocaching: Review Process: Hiding a Geocache: Challenge Caches updated. HTML on cache pages German version (6.5) updated. 12.7 Becoming a Volunteer Reviewer. Updated. Night and UV Caches Updated. Updated: Camping Event Caches. Added text about logbooks. Updated KB articles about search features. Geocaching 2.7 Finding Caches Outside of the U.S. Challenge Caches has been updated. This is a re-write of the previous page. Note that the Challenge Cache guideline has also been updated. Update to guidelines, "Note: Challenge caches published prior to the guideline update 3/12/12 are grandfathered into the game and do not need to comply with current guidelines." Added text about new cache listing submission tool. Cache Listing Requirements / Guidelines Updated 4/23/2012. Updated event cache guidelines affect cache events, CITOs and MEGAs, regarding sponsorship. Mega-Events Article updated to include (new) benefits . Updated Event Cache, CITO and Mega-Event guidelines with relation to external sponsorship. Mega-Events are bound by an additional guideline about this aspect of organization, and other events types are not. From guideline for Mega-Events: "In consideration of the significant resources we devote to publicizing the Mega-Event, Groundspeak reserves the right to deny or retract publication of Mega events sponsored by other commercial geocache listing services, as well as parent and affiliated companies, unless written permission has been granted in advance by Groundspeak." Updated Mega-Event article for grammar and contact information. No major edits.